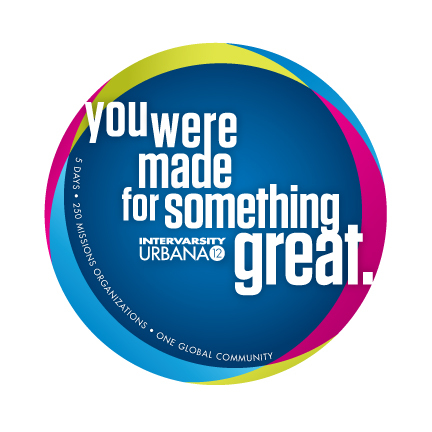 If we met you at Urbana, thanks for stopping by. We would love to stay in contact with you and continue to support your journey into economic discipleship. Click on the image below for the powerpoint to our Urbana seminar. 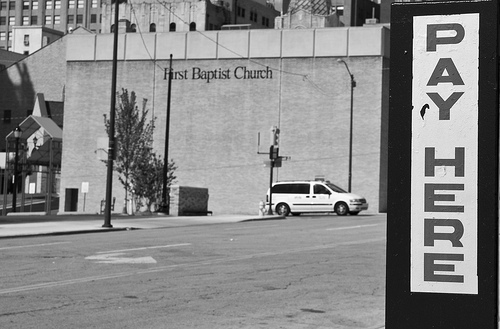 What if Jesus were your financial advisor? What if Jesus were your financial advisor? What if the Son of God and His disciples were in charge of all your saving, spending, investing, and giving? At first glance, the idea seems a bit silly, perhaps even disrespectful. Jesus came to die for our sins, not dispense advice on mutual funds, right? 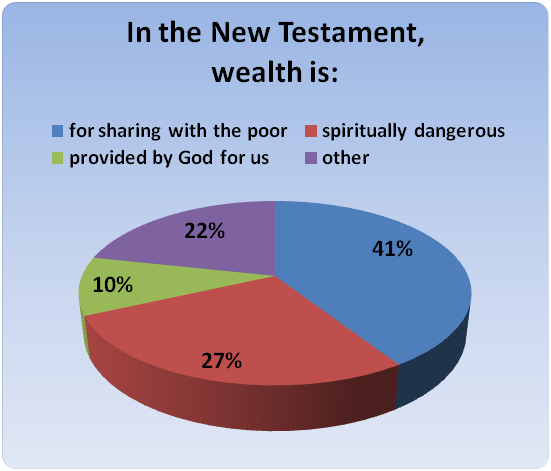 As you can see, by far the most prominent theme in the New Testament is that our wealth is intended to be shared with the poor. A close second was the idea, variously expressed, that money is somehow dangerous or at least distracting to our spiritual life. Those themes make up more than TWO THIRDS of the New Testament’s teaching on money. A final prominent theme is basically to not worry too much about money, because God will provide. Surprisingly, less than eight percent of the relevant passages spoke about giving to support the pastor or the local church—which is the topic of the vast majority of “stewardship” sermons. And there was almost nothing on budgeting, saving, or investing—topics that make up the vast majority of Christian financial stewardship books. You shall intentionally, generously, and regularly share your resources with the poor. And a second is like it: you shall become free of consumerism and the need to find your identity in your possessions, instead trusting that God will provide what you actually need. Now that is some weird financial advice. You definitely won’t hear anything like that from Prudential or Charles Schwab. For me, spending almost an entire day poring over these teachings really drove home just how radical and counter-cultural Jesus is, especially for those of us coming from a society that reveres material accumulation like no other in history. But why not check out the Jesus’ advice for yourself? I’d like to invite you to reflect personally on the wisdom in my spreadsheet. If you just do about ten passages a day, it will only take a week. And it just might be good news for your (financial) life.